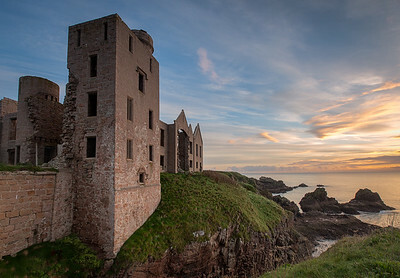 Slains Castle in Cruden Bay, Scotland. 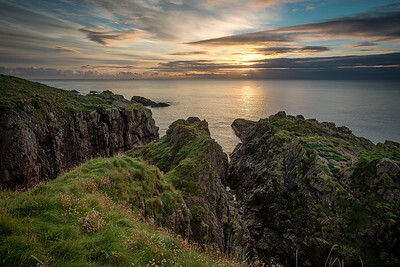 Sunrise on Scotland's east coast, near the town of Cruden Bay. 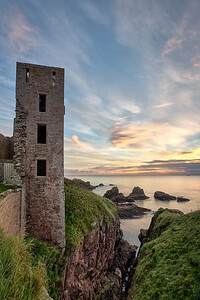 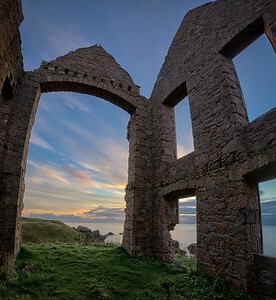 Looking out thru the remains of Slains Castle at sunrise - Cruden Bay, Scotland. 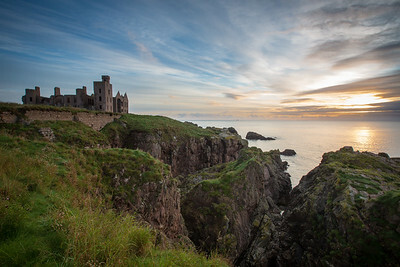 Slains Castle in Cruden Bay, Scotland was a source of inspriation for visiting writer Bram Stoker's novel Dracula. 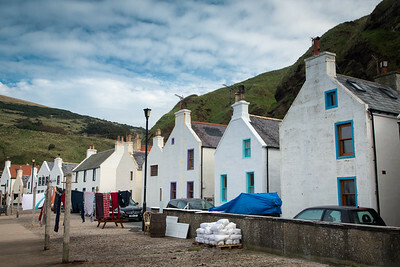 The seaside village of Pennan in northeast Scotland was used as the fictional fishing village of Ferness in the 1983 movie "Local Hero". 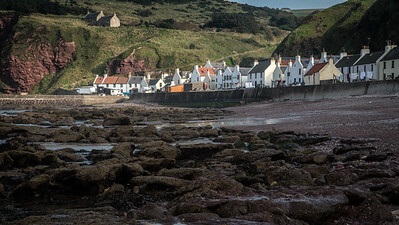 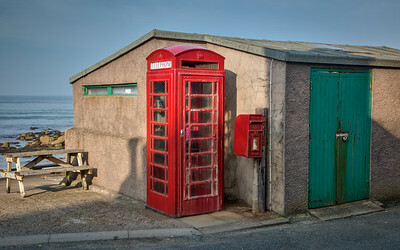 The seaside village of Pennan, Scotland - featured in the movie "Local Hero"
The iconic red phone booth in Pennan, Scotland - as featured in the movie "Local Hero". 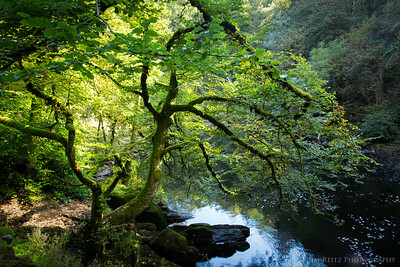 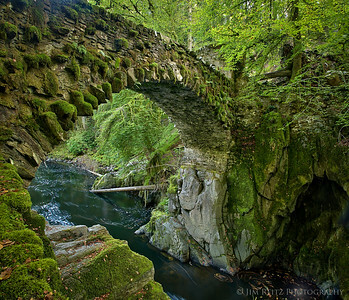 The Hermitage park in Dunkeld, Scotland. 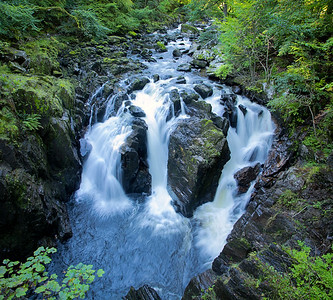 The Black Linn waterfall on the River Braan, in the Hermitage park in Dunkeld, Scotland. 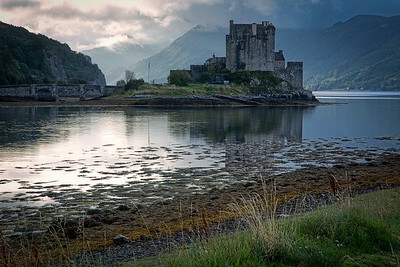 Eilean Donan Castle in the western highlands of Scotland. 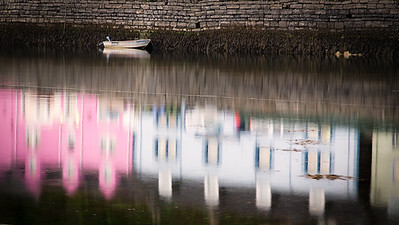 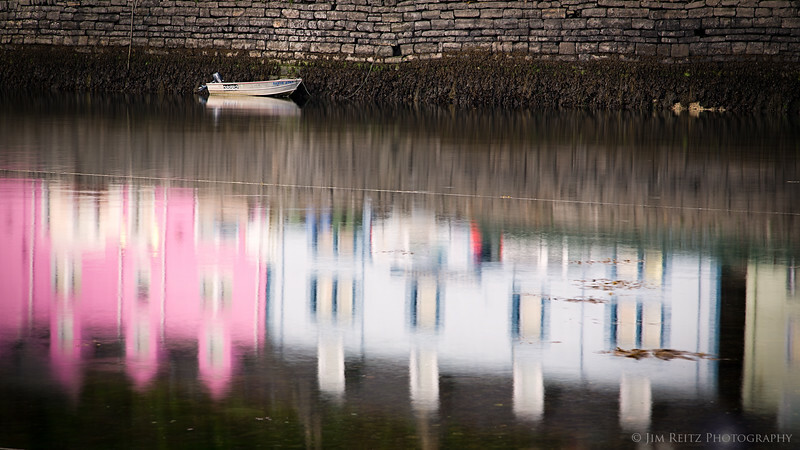 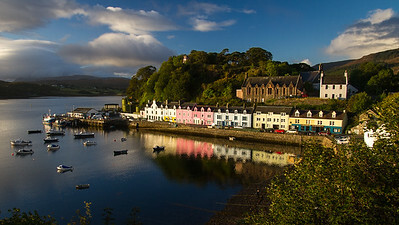 The beautiful harbor town of Portree on the Isle of Skye, Scotland. 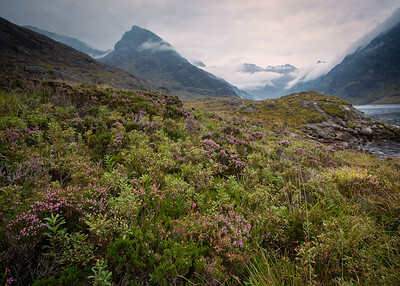 The rugged area around the shores of Loch Coruisk, Isle of Skye, Scotland. 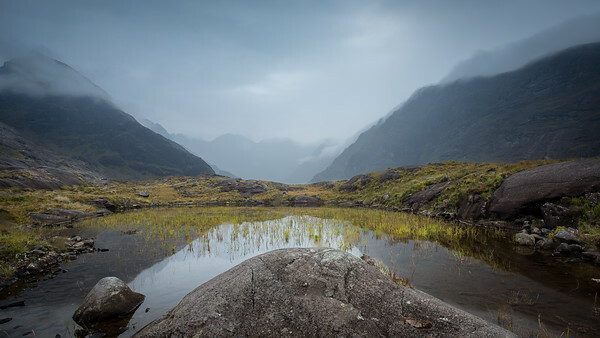 The shores of Loch Coruisk, Isle of Skye, Scotland. 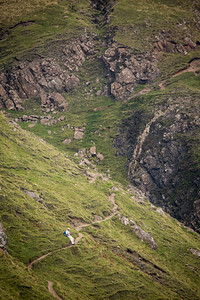 A fellow photographer hiking the trail into the Quirang, Isle of Skye, Scotland. 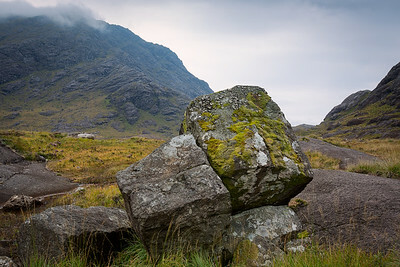 The strange & beautiful geology of the Quirang area on the Isle of Skye, Scotland. 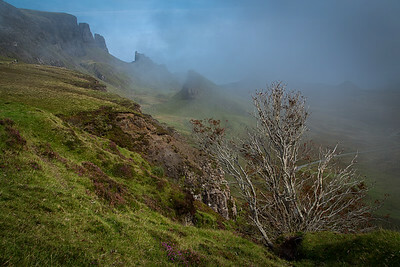 The mist rolls in over the Quirang on the Isle of Skye, Scotland. 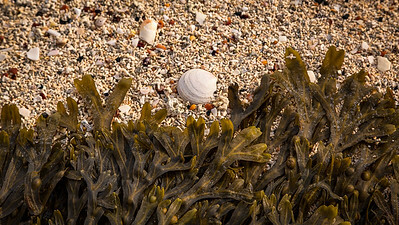 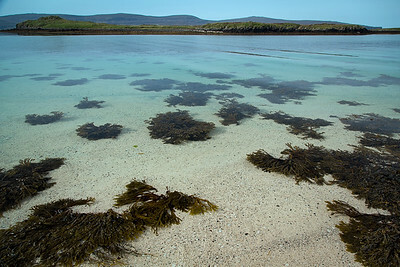 Brilliant turquoise water at Claigan coral beach on the Isle of Skye, Scotland. 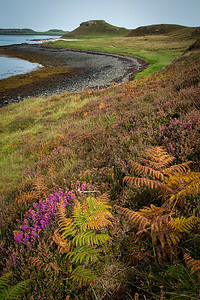 Heather and bracken lead the eye to the white sliver of Claigan coral beach in the distance. 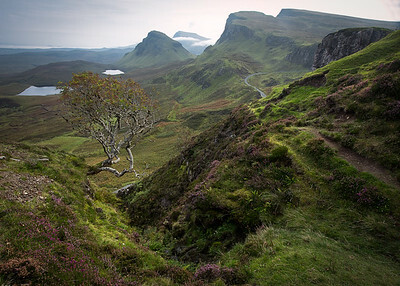 Isle of Skye, Scotland.